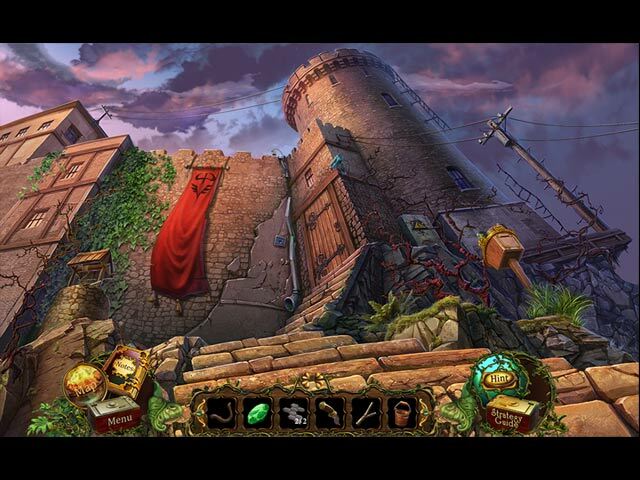 A bonus adventure where you must stop the past from unraveling! 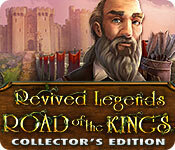 Revived Legends: Road of the Kings Collector's Edition is rated 4.4 out of 5 by 50. Rated 5 out of 5 by AforAllie from A fun game This is a fun game to play. You get two helpers who are very cute. The puzzles are a little challenging but not too hard. The bonus game is worthwhile and fits well with the main story. The music is nice, but can get a little repetitive. 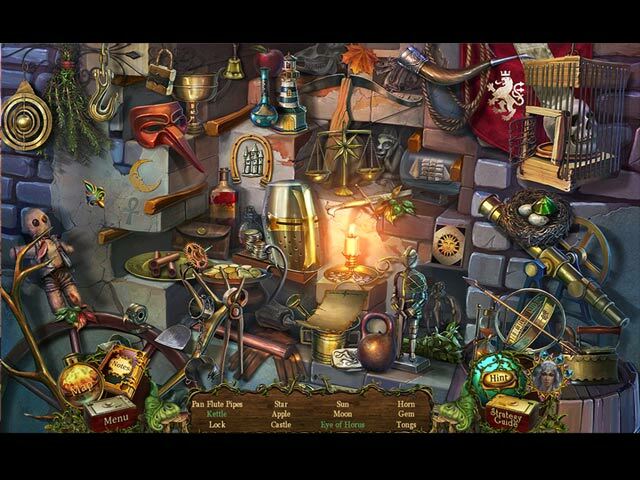 This game is very enjoyable and relaxing, and there are some new types of puzzles I haven't seen before. 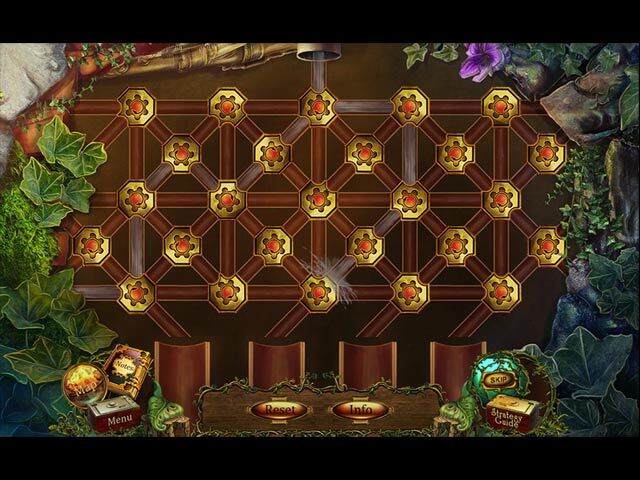 Rated 5 out of 5 by SparkleGlow100 from Outdoorsyness...ahhhh A lovely HOPA with a huge dose of the outdoors. If you’re in need of trees, hills, grass, wild flowers, garden flowers, lakes, streams, ponds, and some old buildings, then you’re in for a treat. If you’re ready for something questy but not dark or creepy, then you’ll enjoy this. I think anyone could play this game (it’s not geared toward any gender in particular). Filled the whole screen even with my max resolution being 1366 x 768. I loved every minute of this game. Rated 5 out of 5 by SpiritAnimal from Finally no dark evil (sort of) This was a fun, entertaining game. The mini-games were fun and the HOPS were clear. Granted, you had to think on some, but that's games are for. Challenging without being impossible. The map was good, and hint button was useful. Graphics were a bit cartoon, but that was just fine. I absolutely loved my little helpers, Raccoon and my little dragon Pepper! I really have no idea why some people didn't like the game. i really liked the color--it wasn't one of those dark, dreary games. It was the typical good versus evil, but I think most stories are. The developers chose to make this one colorful and with it's cute bits. If you want a fun, relaxing, entertaining game, this is it. Rated 5 out of 5 by got2play from LOVED IT! I really enjoyed this game - loved it, in fact. I hope there are many more like this in the future! Rated 5 out of 5 by nospaceleft from Thoroughly Delightful game!! This is one of the few games I could have played for 10 more chapters! All of the "wants" are satisfied: interactive map, hints, good puzzles, cute characters, etc. The game is not difficult and may just be too easy for some, but I play for fun and relaxation and don't usually like to work too hard...so it was perfect for me. Locations and items followed logically...something you don't get in a lot of other games...and I like the "cartoonish" graphics that are pretty and easy on the eyes. My only complaint is that the bells are too small!!!! Several of the puzzles were new to me or new versions of other puzzles and I don't like skipping them, so that was nice. It was also fun to find a few modern items in with the period ones when that was appropriate. All in all it was a nice escape and I hope there will be more like it! Rated 5 out of 5 by rosekaufmann from CHALLENGING ADVENTURE HOG Very colorful and challenging adventure HOG. Artistry is well-honed to the locations. Great animation. Puzzles are moderately challenging; HOGs are slightly crowded but well defined objects. Adventure story is well thought out and quite different from the usual. The 2 pets are very helpful once you figure out what they do. Hint system not the most helpful but adequate (it just shows where you have an action available, but doesn't tell you how to do what you know you have to do - such as how to light the torch). A pleasure to play.